Wow your guests with this Easter favorite! To begin, cream the coconut oil. Beat the oil in a large bowl with a wooden spoon until it is light, fluffy and easy to stir. 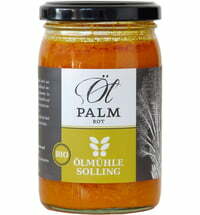 Öhlmühle Solling’s 250ml jar is perfect for this recipe. The airy texture doesn’t require much extra work to cream. Next, add the sugar, vanilla sugar, and vanilla extract to the coconut oil and stir until combined. Beat in the eggs one by one and mix until smooth. Then carefully add the yoghurt. 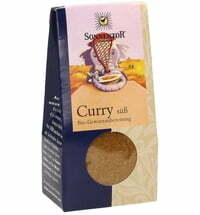 In a small bowl, whisk together the dry ingredients until well combined. Slowly add the dry ingredients to the wet ingredients, stirring well. Beat with cake beaters on high for 3 minutes until the cake batter is light and fluffy. Prepare two round cake pans with parchment paper to keep the cake from sticking. Butter and flour the sides of the pans as well. Cut a pan-sized piece of paper and poke it into the sides of the pan with your fingers. Use your fingernails to trace a line around the edge. When you lift the paper up you can still see the line. Cut the circle out and place it in the bottom of the prepared pan. Pour half of the batter into each pan. Bake each round pan for about 30 minutes. When the centre of the cake is firm, take out of the oven and allow to cool. Decorate your bunny as you please with vanilla icing, candy or coconut flakes!